I remember my very first convention, Shore Leave 10. It was a one day affair for my friends and me. I was really into Star Trek, and I left the con with a new respect for fandom, an IDIC pin, a Vulcan language book, and book called Kolinahr: the Vulcan way of Logic and IDIC. I devoured the book. I had a bit of an anger issue, and I embraced Stoicism as a way to deal with it, but what I really got out of the book was an appreciation of IDIC. 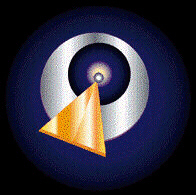 This concept was central to the Vulcan philosophy as well as Gene Roddenberry’s own view of the world. My earliest experiences with Fandom showed me that this was one of its core values as well. Now, I have to say that my early experiences were almost exclusively in Star Trek fandom, but I found the idea repeated in other Scifi fandoms. IDIC is the most important value for us to practice and spread. It is the root of peace and progress. If there is any hope for us, then we have to embrace IDIC. IDIC is not Postmodern Relativism. Acceptance of diversity does not mean tolerance of belief and practices that bring real harm to others. Slavery is not a Culture to be accommodated, neither is prejudice against someone because of their race, religion, ethnicity, nationality, sexual orientation, or gender identity. The harm and misuse of others is never something we can tolerate. IDIC teaches us a way to get past this through cultural exchange and education. When you engage any population in an open and free exchange of ideas, in time cultures do change. Peer pressure makes sure of that. IDIC allows the bigot to talk, but not to act. Every voice needs to be heard because it shows the wider society where the gaps are that need filling. If we do not know where the racists are, we don’t know where we need to examine the economy and social institutions. We have to build the change we want to see, not force it on others. It is not an easy path to walk, but it is one we have to find for ourselves. Every problem has a cause, and can only be rooted out when the root cause is exposed and removed. Homophobia is nothing more than a face of misogyny. Have you ever listened to a Homophobe talk, I mean really listened. We defy our culturally defined gender roles. Gay men may think about and look at heterosexual men the way heterosexual men think about and look at women. LGBT couples define their relations rather than accept the ones foisted upon them. Listen again, that is what they are saying. The way to combat homophobia is to undercut the persistent sexism that survives in certain corners of society. That is how IDIC is applied to that situation. I hope you adopt it as one of your core values and pass it on. Older PostSpeaking Out a Captain Jack Attack!